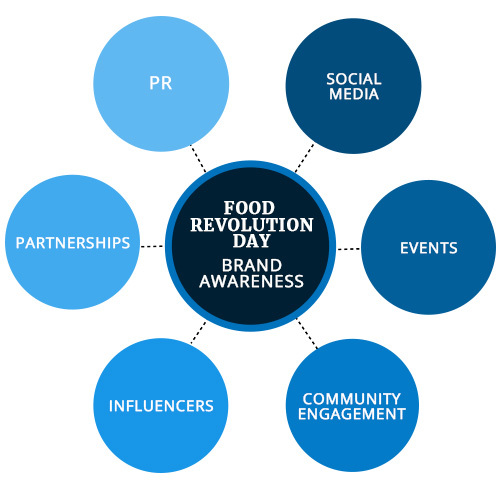 Jamie Oliver’s Food Revolution Day is on a mission to spread its healthy eating message globally. With the intricacies of the bilingual Quebec market, Suite 203 was selected to create brand awareness and encourage participation in Montreal. 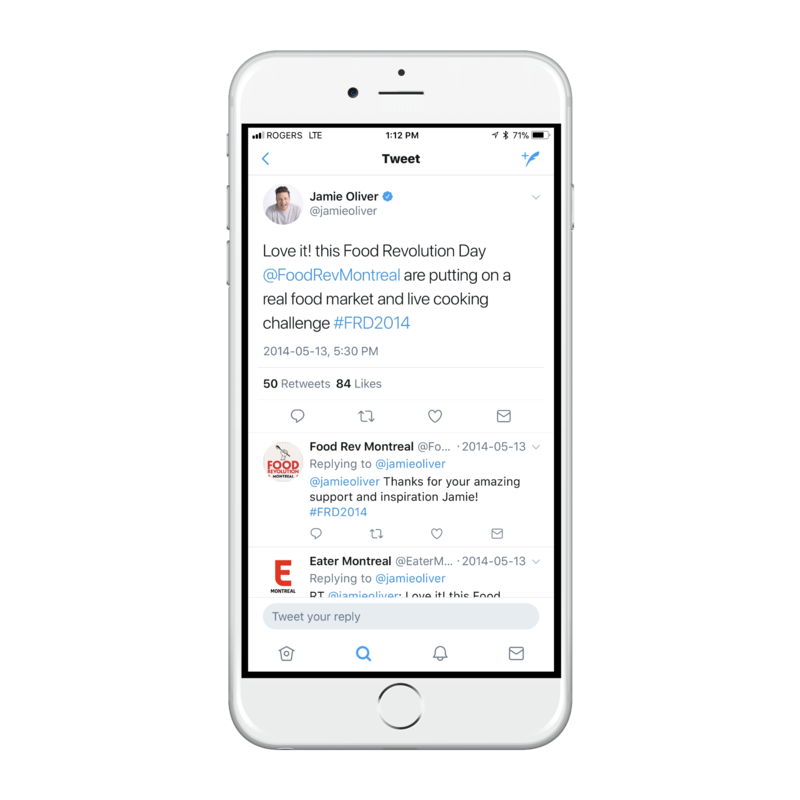 Jamie Oliver’s Food Revolution Day is a non-profit organization that mobilizes volunteers worldwide to promote healthy eating and the notion of real food. 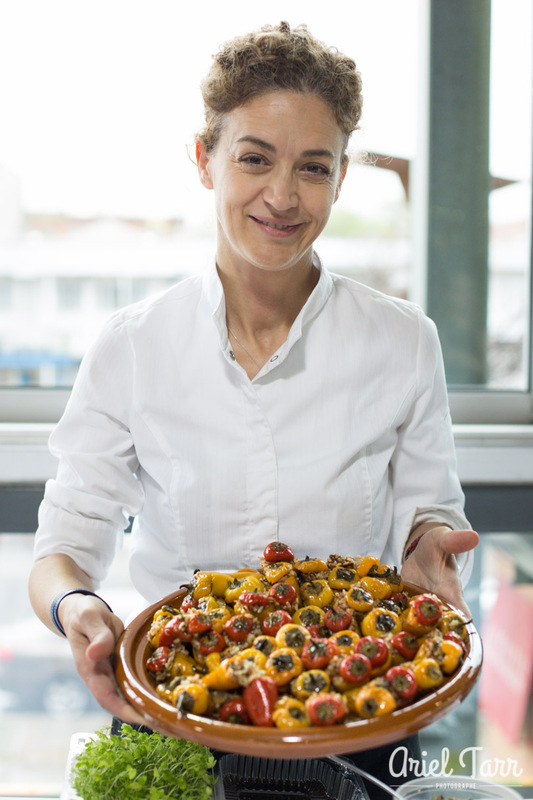 Localized teams help spread Jamie Oliver’s message of homemade food being the best food and getting kids food smart by making cooking fun. As the Montreal partner for the international organization, we’ve engaged the community to support the cause over the past five years. 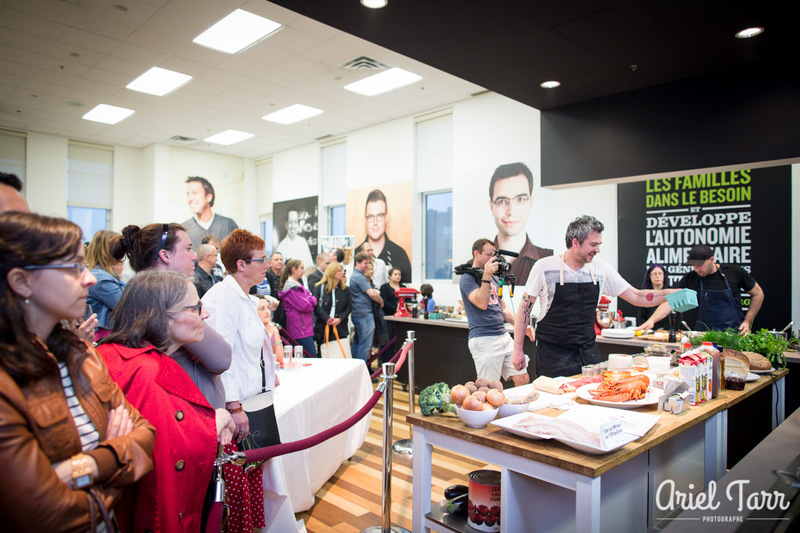 Drawing inspiration from Jamie’s yearly themes, we develop Montreal-centric marketing strategies to build brand awareness and create buzz for the movement, including social media, public relations, influencer partnerships and public events. One of our favourite programs was a “Real Food Market”. 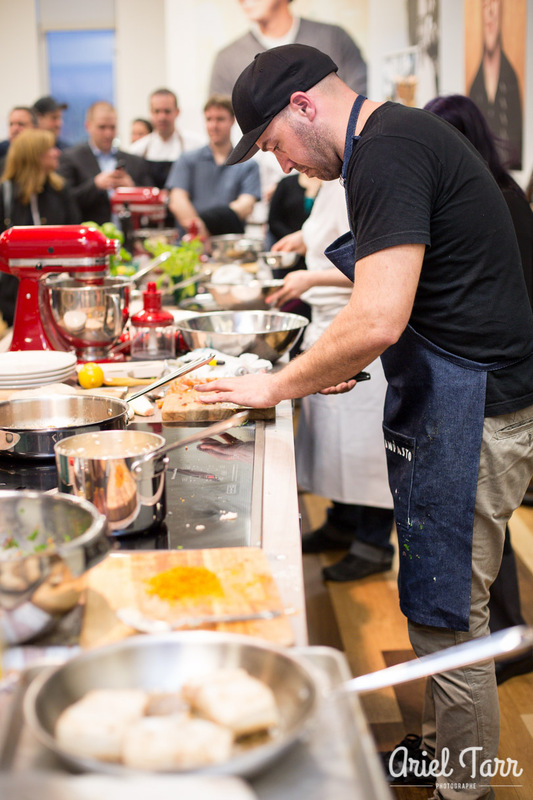 200 guests were treated to the culinary delights of over a dozen local restaurants and food purveyors followed by the Live Cooking Challenge. 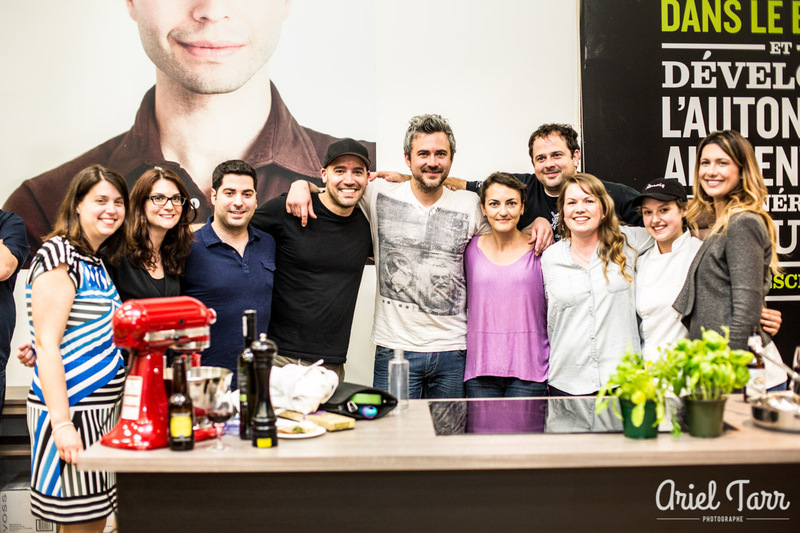 This Chopped-style event featured celebrity chefs who were given a basket of mystery items to cook up a main course in just 45 minutes. Local food bloggers were on the judging panel to select the best dish. 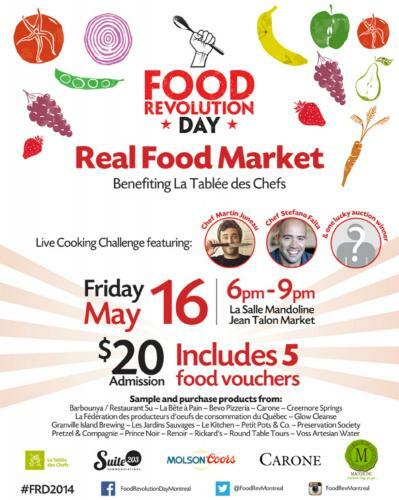 With active social media channels, partnerships with celebrity chefs, including Stefano Faita and Martin Juneau, media coverage on TV, print, radio and local food blogs, the Montreal community rallied to celebrate Food Revolution Day.